Join New Signature on October 16 for a free online learning opportunity to help you understand and prove the value of the cloud. Cloud-computing is a must for a modern business to maintain a competitive advantage and sustainability over time. As you begin an Azure migration, you may be seeking a financial justification for your cloud investment. Does the journey to the cloud hold the value that all key decision-makers are looking for? How will you get your executive team on board? 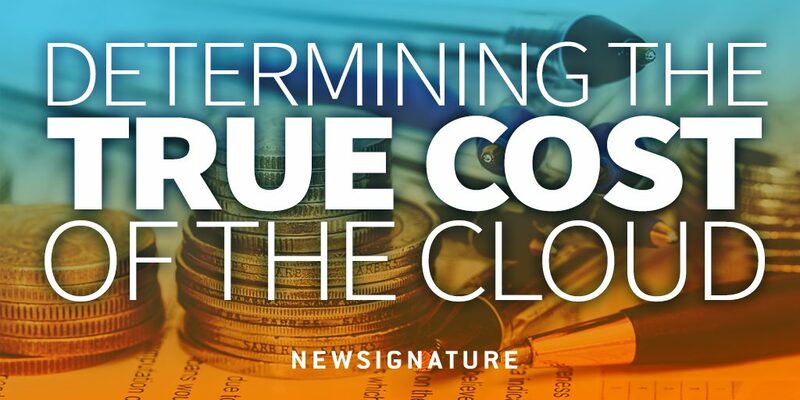 How can you prove the value of the cloud?